The Lobby Lounge is located in the Quality Hotel Cincinnati Blue Ash. It is open from 5:00 p.m. - 9:00 p.m. Monday through Saturday for dinner and 5:00 p.m. - 10:00 p.m. Monday through Saturday for Bar Service. Menu includes appetizers, salads, sandwiches, and entrees. For your next event, invite your guests to the Newport Aquarium, where they will enjoy business and fun. Treat your guest to the inspiring views of the Cincinnati Skyline in the Riverside Room. Also, let them take a stroll through the Aquarium, where you and your guests can pet a shark or penguin, and see one of only few Shark Rays on exhibit. Your guest will be wowed by the amazing event you through at the Newport Aquarium. We specialize in bite size desserts that are bursting with flavor while demonstrating unique artistry. Enjoy the taste of any dessert without over indulging. Customizable dessert bars and special gifts for any occasion. If you need refreshments for yourself or your guests we are the place to come to for just the right size dessert. We provide a variety of mini desserts in our store front with a small cafe table if you wish to hang out. Desserts are our thing so if you need a special gift or group refreshments please check out our website and more importantly our menu! Black Diamond Casino Events has an excellent reputation for our service, quality, authenticity, and most importantly, fun! We help create fun-filled evenings for fundraisers, small private parties, and corporate events. We are also known for our live game shows, themed parties, picnic events, décor, a/v and lighting and more. When it comes to having fun… Black Diamond Casino Events is the one! 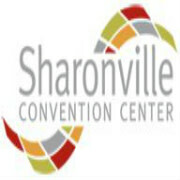 The Sharonville Convention Center is the region’s only certified sustainable event facility, located just 15 miles north of downtown Cincinnati, just off I-75 and I-275. The Center provides a beautiful space for meetings, conventions, banquets, trade show, and public events. It features 19 meetings rooms with 65,000 sq. ft. of flexible space and state of the art amenities. Some of the amenities include electronic signage, message boards, complimentary Wi-Fi, and an innovative projection wall at the entrance to welcome your guests!